3.125″ deep pocket, 3/8″ endmill, and thing walls too! With a part like that, if the tool doesn’t chatter from the long reach the thin walls will chatter. Tate reports taking 0.030″ depth of cut passes and 600 rpm were the secret, discovered after some trial and error experimentation and a broken endmill. How can we make Deep Pocket Milling more of a science and less trial and error? The answer is to use proven techniques to proactively address the challenges of Deep Pocket Milling that we know are there. Let’s go over the different techniques that are available to address these issues. The graph is for runout as a percentage of the allowable chipload vs tool life. As I mentioned, deflection behaves just like runout. So, if we allow deflection to reach 50% of chipload, our tool life will only be 60% of normal. In addition, excessive deflection can lead to chatter as well as wall taper, poor wall finish, and generally poor tolerances. Not what we want, but how do we fix it. 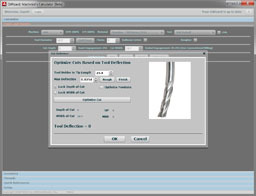 The first thing is to minimize tool stickout while maximizing tool diameter. Of course this article is about Deep Pockets, which are only deep in comparison to their tight corners. So, large tool diameters and short stickouts are probably not available to us. The next thing is to be aware of deflection. How much is there for a given cut? 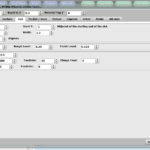 This requires that we use a feeds and speeds calculator capable of predicting Tool Deflection, like our G-Wizard Calculator. Once we know how much deflection there is, we stand a chance of optimizing our cutting parameters to minimize it. G-Wizard has a couple of tools to assist with this. G-Wizard’s Cut Optimizer makes it easy to calculate the optimal Cut Depth or Cut Width needed to keep Tool Deflection under control. 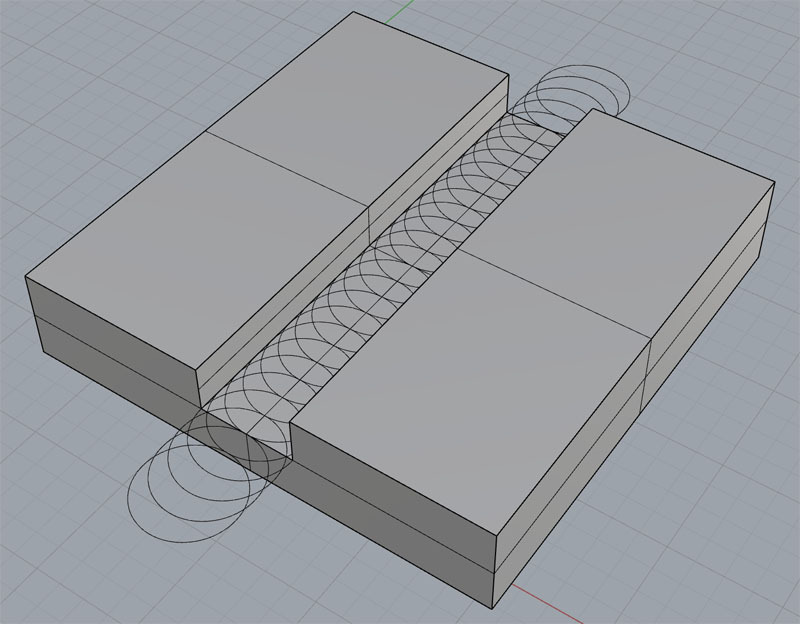 It’s CADCAM Wizards will optimize both Cut Depth and Cut Width to avoid deflection right up front. 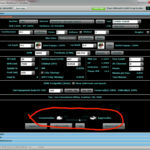 But G-Wizard’s best feature for dealing with Deep Pockets is the ability to fine tune exactly what the right amount of deflection should be for your cut. 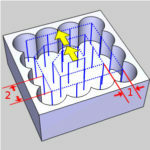 Deep Pocket machining will amost always require multiple stepdown passes to reach the bottom of the cavity. The worse the tool deflection issues, the more passes will be required. If you’ve got flutes the full length of the tool, they’re going to be rubbing and potentially cutting the walls created by previous passes. That needs to be minimized, and the right way to do that is to use tool shanks that have been relieved so they don’t contact the wall. That coupled with flute length that is just long enough for your actual cutting needs (i.e. the height of a single pass) does the trick. Keeping flute length shorter also means less deflection because you’ve got more meat in the cross-section to resist deflection. With Tool Deflection under control and Relieved Shanks to keep our walls clean, the next issue to consider is coolant. It’s hard to get coolant down into Deep Cavities and it’s harder for that coolant to extract the chips. Premium coolant solutions such as Through Spindle Coolant, High Pressure Coolant, and Programmable Coolant Nozzles can be a great help, and G-Wizard can adjust your feeds and speeds accordingly to take advantage. If premium coolant options are not available, carefully aiming the coolant nozzles to best effect is the alternative. It will make a very noticeable difference if the machine operator does this. If your machine has a fast tool change and available pockets in the changer, you may be able to perform Deep Pocket Milling more quickly by using multiple tools. The idea is to use more than one stickout. The shorter stickout tools are used for the initial passes. They can cut a deeper initial pass because they’re more rigid. When you run out of clearance, perform a tool change for a longer reach tool. The idea is each cut is a circular arc rather than moving down the slot in a straight line. The advantage of Trochoidal Milling is it keeps a constant load on the cutter so you can run higher feeds and speeds. Some Trochoidal paths create a more “D” shaped toolpath and don’t do a complete circle each time, which can be faster than the full circles. Trochoidal and HSM paths are also good for Deep Cavity and Deep Slot operations. 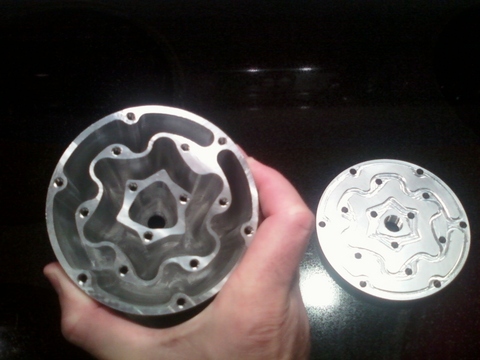 Check our article on Trochoidal Milling for more information. The graphic shows a typical plunge milling operation for a square pocket, courtesy of BobCAD. As you can see, a chain of holes are plunged vertically with the tool to rough out most of the pocket area. A subsequent finish pass will complete the pocket. 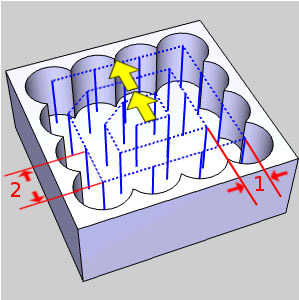 The advantage of plunge milling for Deep Cavity work is that most of the cutting forces are along the Z-axis rather than perpendicular to the diameter of the cutter. That means much higher rigidity and lower tool deflection. 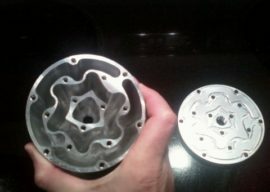 See our article on Plunge Milling for details. A larger diameter roughing tool clears most of the material at a higher rate because of its size and rigidity. After, a smaller tool makes a pass that gets into the tight corners to remove the remaining material. 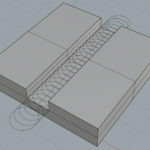 With corner drilling, we add a twist drill operation in the corners to remove even more material. The combination of roughing with a bigger tool and corner drilling means that our smaller finish endmill need not remove much material. Cutting forces and therefore deflection are much less as a result. 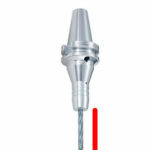 See our article on Corner Drilling for more information. Like plunge milling, high feed milling concentrates most of the cutting forces along the Z-axis. So it can be advantageous for Deep Pocket situations.